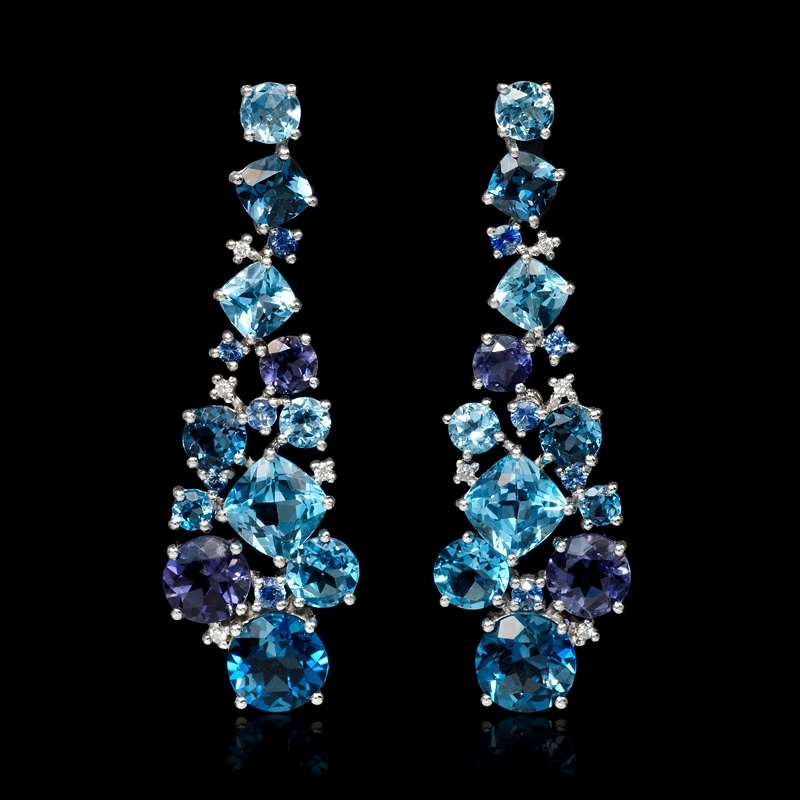 .25ct Diamond Blue Sapphire, Blue Topaz and Iolite 18k White Gold Dangle Earrings. Diamond Details:44 round brilliant cut white diamonds, of F color, VS2 clarity, weighing .25 carats total. 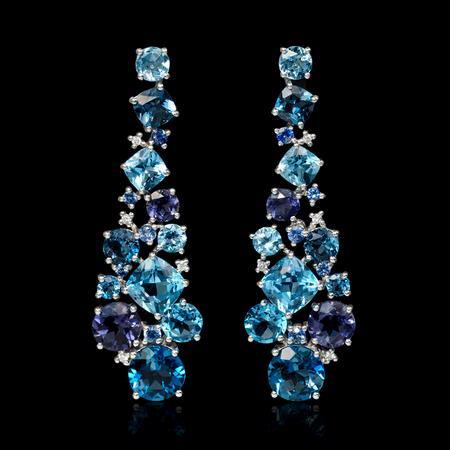 Gemstone Details:10 blue sapphires, of exquisite color, weighing .46 carats total, 10 blue topaz stones, of exquisite color, weighing 15.20 carats total and 4 iolite stones, of exquisite color, weighing 1.70 carats total. Measurements: 21.75mm in length and 2.5mm at the widest point. 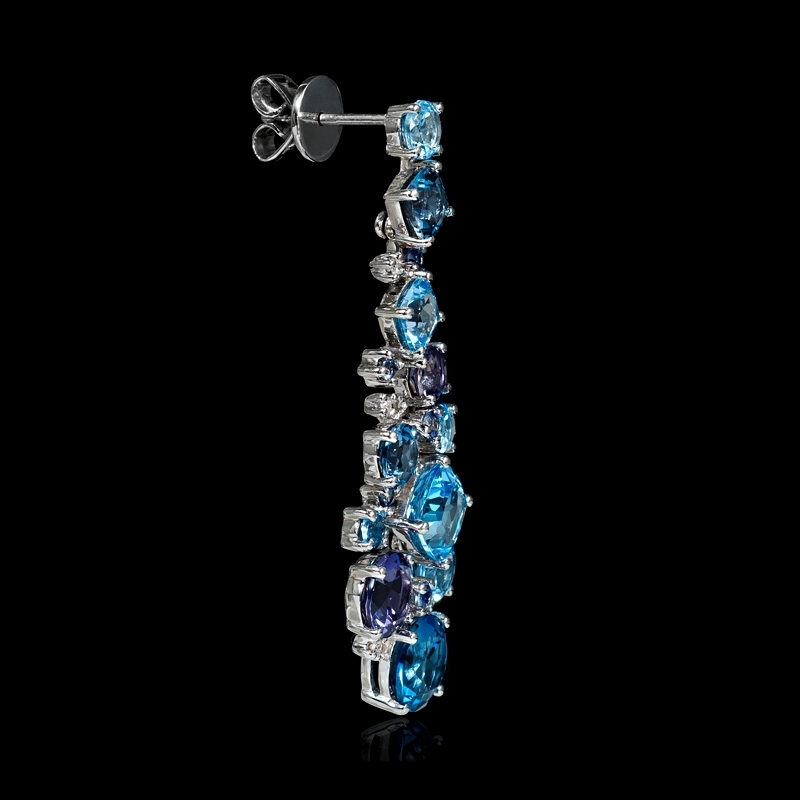 This amazing pair of 18k white gold dangle earrings, feature 10 blue sapphires, of exquisite color, weighing .46 carats total, 10 blue topaz stones, of exquisite color, weighing 15.20 carats total and 4 iolite stones, of exquisite color, weighing 1.70 carats total and 44 brilliant round cut diamonds, weighing .25 carat total. These dangle earrings contain hinged hoop backs. These dangle earrings measures 2 inches in length and 13.5mm at the widest point.